This is Lynda from Curls and a Smile and I am so super excited to be participating in Blog Hoppin's Fall Features! Fall is one of my favorite times of the year! Cooler weather, Pumpkin Spice Lattes and football are make a welcome return after a long hot summer. 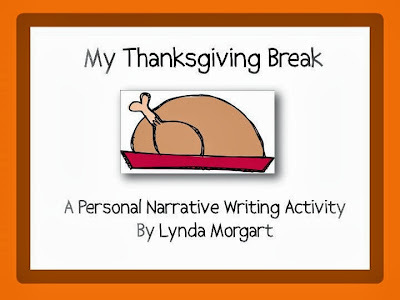 As the holiday comes closer, I absolutely love to teach about the Pilgrims and Native Americans. My students do a week long study of the what life as a child in 1621 could be like and compare the way they lived then to our loves now. This resource was created with my students in mind. They love to write about our country's first Thanksgiving. Each page is set up to allow the students to use a graphic organizer to collect information about each child's way of life in the 1620's and pages to create a book as well. The kiddos love to take these home and share them with their families over Thanksgiving Break. After the holiday, students are always so excited about their fabulous time off with their family. I use this as an opportunity to take my kiddos through the writitng process. This resource includes everythign you would need to have a great week of writing! It includes graphic organizers, plan sheets and pages for a final draft as well. These two resources provide for about 3 weeks of reading and writing instruction! Can't beat that! Check it out here in my TpT Store! I also have this super fun freebie just for you! 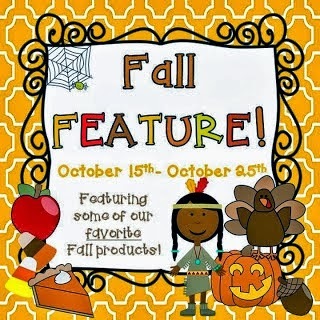 I created this for my stations as to add a little Fall fun to my students free write during stations! Thanks for sharing two wonderful ways to get students writing! !